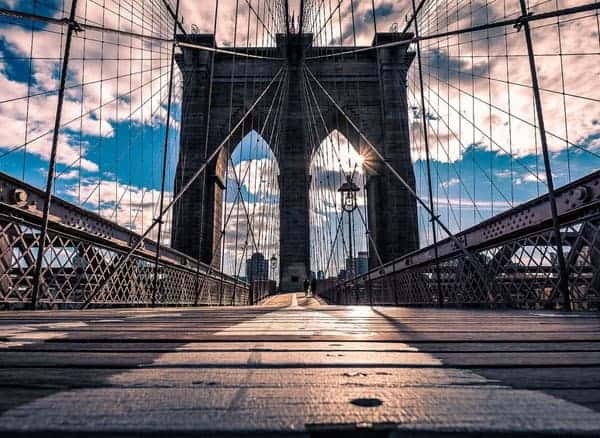 New York City is packed full of ‘bucket list’ items – crossing the Brooklyn Bridge, strolling through Central Park, taking in the view from the Top of the Rock or getting an up-close look at the Statue of Liberty, these are just a few of the must-see places to visit but here are some of our favourite things to do whilst visiting New York this Winter. Where do you start when Christmas shopping in New York? Well…. let us guide you. Saks (which is so big it takes up almost an entire block) and famous for it’s legendary Christmas light show. Bloomingdales with their iconic ‘Little Brown Bag’ is surely a staple buy when in NYC. Macy’s which is famously known for it’s Thanksgiving Day Parade and that must watch movie in which it featured, ‘Miracle on 34th Street’. From mid-November until January, boutique pop-up market stalls appear in spectacular locations around New York. The magical festive experience at these markets feature sparkling Christmas decorations, delicious food and some even have ice skating rinks! Find artisan jewellery, hand-made gifts, clothing, crafts and fun presents perfect to take home for friends and family. If time was of the essence, we recommend the Grand Central Holiday Fair, located in 42nd & Park Avenue. Being the biggest, best and warmest indoor market, you can enjoy the perusing the stalls no matter what the weather. If the choice of shops wasn’t enough to make your head buzz then the number of Ice Skating rinks to choose from certainly will. 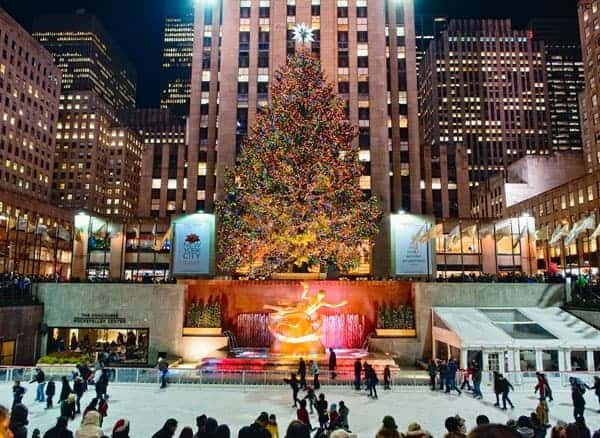 The Rink at the Rockefeller Center – the most iconic ice-skating rink within in this city and sits snugly over the infamous Rockefeller Christmas Tree. Although you may think that it would be overcrowded, only 150 people are allowed on the rink at any one time so you will have plenty of space to get those Bambi legs under control. Wollman Rink in Central Park – now this ice-skating rink is just picture perfect set within the priceless scenery of Central Park (especially in the snow). It does get busy but so worth it! Bank of America Winter Village at Bryant Park Rink – Perfectly located if you are looking to eat, shop and skate (not all at the same time obviously). This place is a Winter Wonderland! Eighty years ago, America law’s on a ban on alcohol came to an end. Gone was the thrill of secret passwords, false storefronts and a bit of lawlessness. But in the last decade, New York has enjoyed going back to those days of secret bars. Bars like PDT (Please Don’t Tell) which is accessed through a vintage phone booth in an East Village hot dog joint, and the Campbell Apartment, a former office with stained-glass windows and an enormous fireplace in Grand Central station, are well-known despite their ‘secret’ entrances. 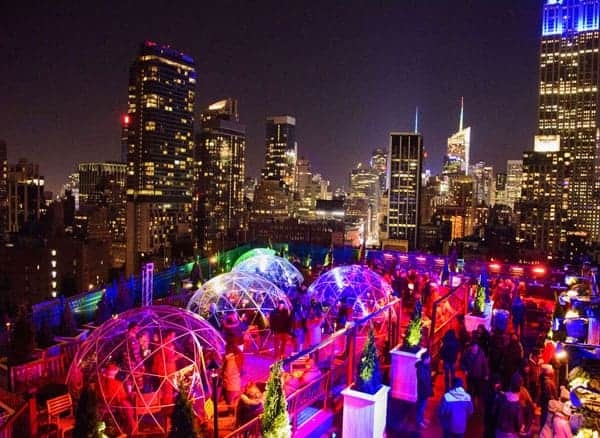 A couple of our favourite rooftop bars are 230 Fifth, which is one of the most popular jaunts with it’s uber cool igloos that comfortably fit you and 7 friends. Certainly a funky must to go on your things to do list! And the Empire Hotel Rooftop where you’ll get perfect views of Central Park and the Lincoln Centre and this place specialises in amazing cocktails such as the Oran’gin the Mood. Yum! You can walk across this spectacular bridge any time day or night, whether by daylight or moonlight the views will simply take your breath away. It does get chilly during the winter months so you will definitely need to don your best winter woollies. This well-loved historic structure is perfect for a photo to add to your selfie portfolio! 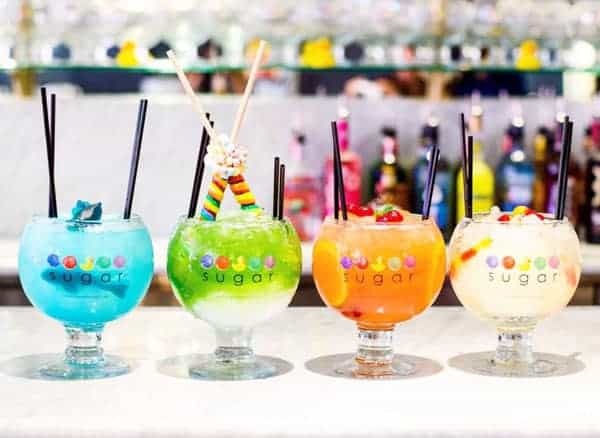 Second is the Sugar Factory, this place is not for the faint-hearted and the main requirement is that you LOVE all things sweet and alcoholic. This placed is well known and frequented by many celebrities and home to the sparkly lollipops, dry ice/sweet cocktails. You will be bouncing around New York after a little stop here! Is there anything more synonymous with New York than a Broadway? 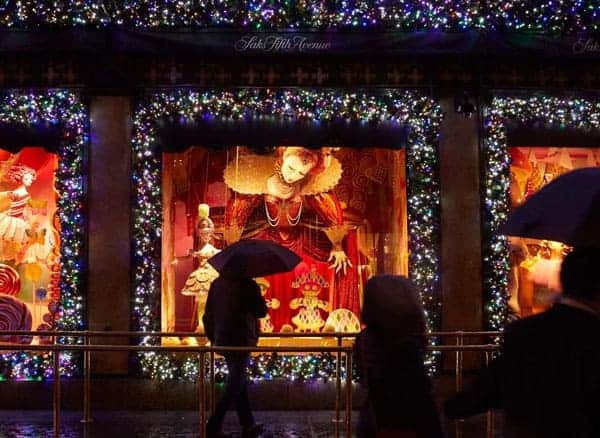 As the weather gets colder, performances such as the Nutcracker and A Christmas Carol make their appearance and feature heavily throughout the festive period. 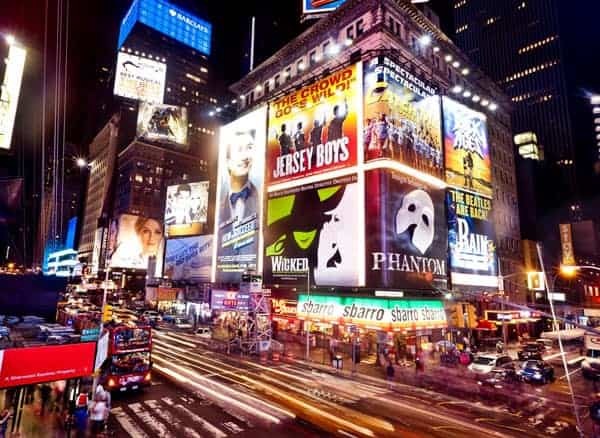 You’ll find more than 30 Broadway theatres around the surrounding Times Square area. This quantity of shows available means there is always something for everyone. You should buy tickets in advance, as all popular shows will sell out fast! For a nice basic cup of hot chocolate, this is NOT the place to go! 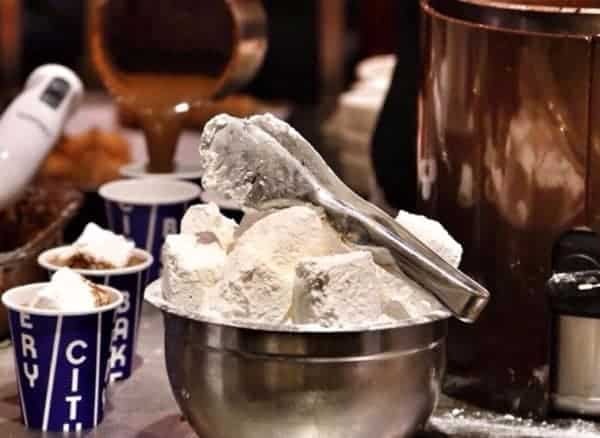 However, if you want incredibly flavoured, luxurious artisan hot chocolate, then visit the Hot Chocolate Festival. From the 20th January until 4th February, top pastry chefs will create the best hot chocolate recipes for you to try this winter. The festival is ideal for visitors to warm up this winter as the speciality hot chocolates will be offered at all participating pastry kitchens and bakeries. Along with outstanding hot chocolate, 50 cents from each cup—plus all proceeds from the kickoff ticket sales—will go to support Careers through the Culinary Arts Program. 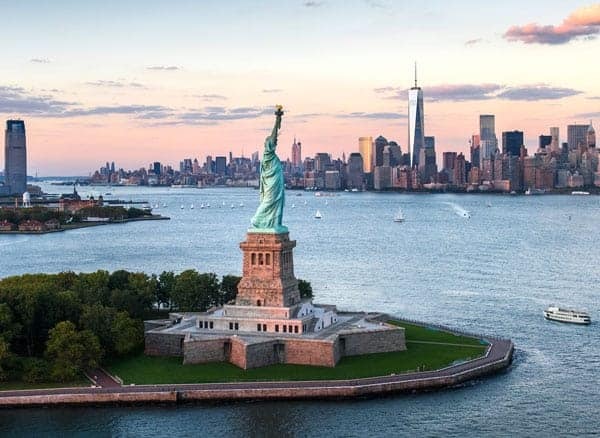 If you would like a break from the Christmas shopping and crowded streets, then a visit to the iconic, neoclassical, 305ft Statue of Liberty is a must on your New York trip. One of the worlds most identifiable structures, the statue has been on Bedloe’s Island since 1886 (renamed Liberty Island in 1956). Try to visit on a sunny day if possible and because the weather will be cold, it should hopefully be less crowded too! Pay for a round-trip ferry ride to the Island and for incredible views of Manhattan, make a booking to access the statue’s crown. Fed up of the standard New Year celebrations at home? Make this NYE one to remember and party in style. Don your festive holiday getups and head out for a night of fun and celebrations, New York style. Think amazing fireworks, concerts, dinners and parties. Check out the video of the iconic ball drop that happens in Times Square every year. The ball descends 141 feet (43 m) in 60 seconds down a specially designed flagpole, beginning at 11:59:00 p.m. ET, and resting at midnight to signal the start of the new year. Call us on 01730 711010 or email leisure@meonvalleytravel.com if you wish to experience New York this winter.